Note : Costs indicated are per group and not per individual delegate. Implementation -Toolkit for Identification and Implementation. 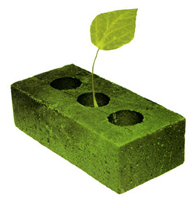 Green Skills – Construction - Waste. Toolkit for Identification and Implementation. Application – Traditional Material and Methods vs alternative sustainable and cost effective Materials and Methods – Discipline Specific. Application – Practical Exposure to Related Product. Mentoring – Knowledge, Skills, Values and Culture. Preparation, Conducting, Feedback and Review. The use of verbal/oral communication skills to make an effective presentation. The use of non-verbal communication effectively to reach audience. Personal Power - Presence and Poise. Handling questions and overcoming objections effectively.